I decided to start spring with something very bright. 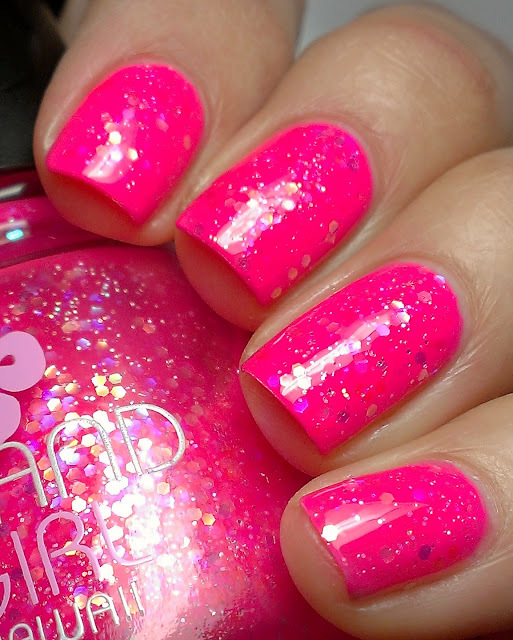 I picked up this polish during my Hawaii vacation and finally used it and it is stunning. Only issue I have noticed with Island Girl polishes they chip very quick :( but if you change your manis often it shouldn't be a problem I guess. Hope you girls have a wonderful weekend~!!!!!!! It's totally gorgeous - a perfect pink! Waaaaaa this is a stunner!! Great way to welcome Spring for sure! 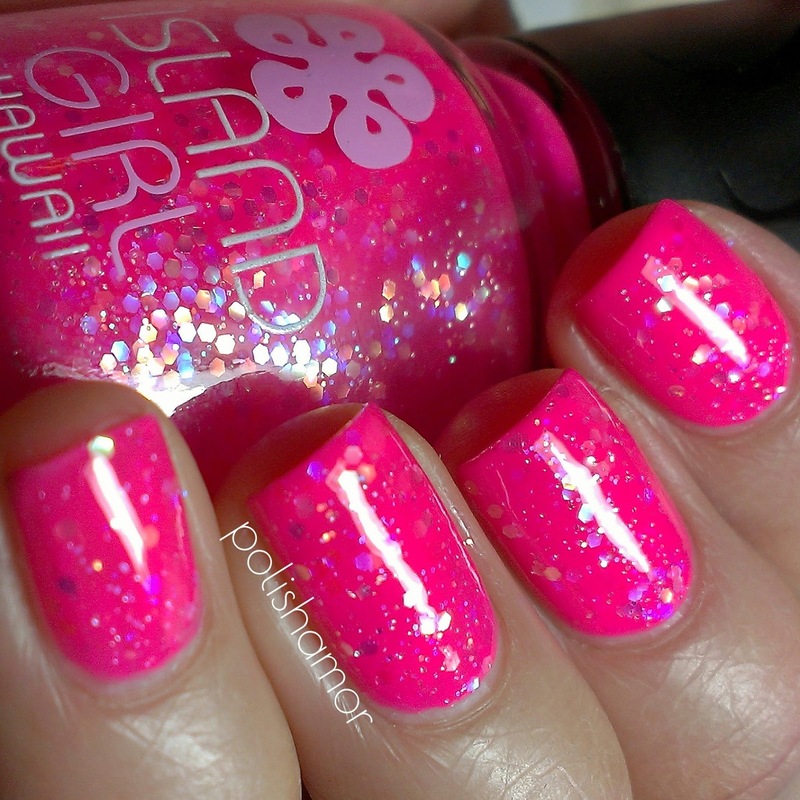 I would love to try an Island Girl polish! That is absolutely gorgeous. 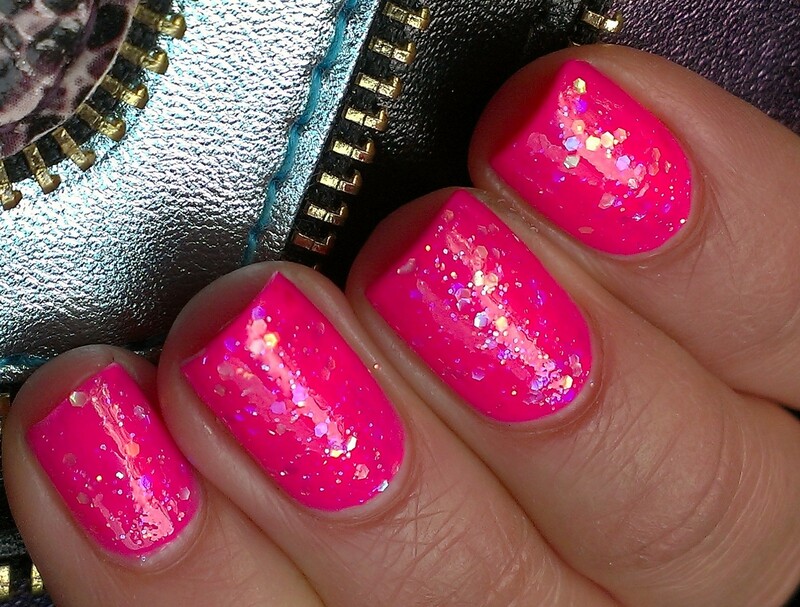 It is such a vibrant pink, and glitter too! Very pretty. I wish you could get the Island Girl polishes on the east coast. This is one HOT mani lady!